The assessment of dust and spillage arising from bulk material handling is used to determine and evaluate options to minimize problems and support regularoty compliance. 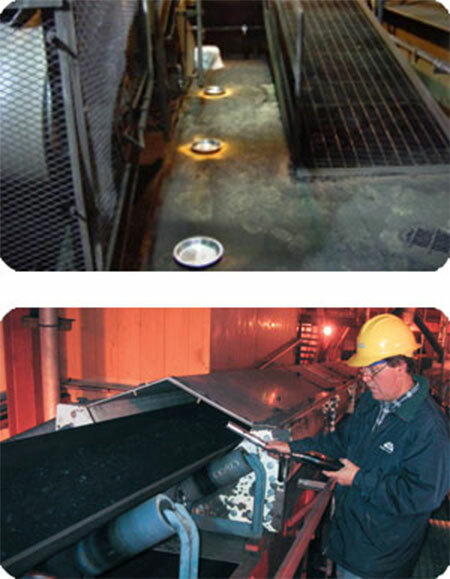 A Fugitive Material Analysis measures dust and spillage associated with the bulk material handling system’s transfer point. The analysis is based on the samples of fugitive material (spillage) gathered in collecting pans and respirable dust assessed by a light scattering photometer. This evaluation procedure is conducted in advance of, and after the completion of, a project to improve a belt conveyor transfer point. The report highlights the success of the project’s performance. These results are reported to the customer in a timely manner.